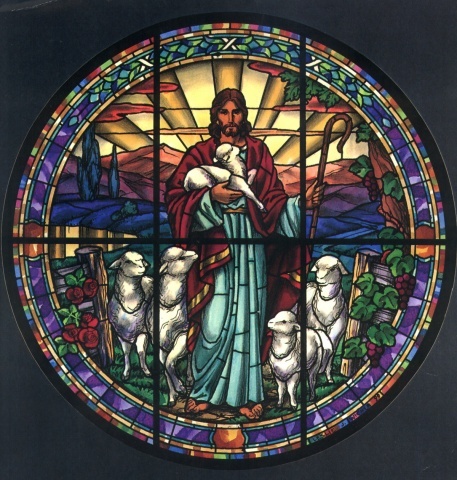 The window at Church of the Good Shepherd was an influence of this design. I started with a digital image of the window and began removing elements to simplify the design and place it on the quatrefoil shape. I used the staff and wheat to symbolize the Good Shepherd in place of the detailed image of Christ in the window. The sheep were styled from the arrangement of sheep in the window with slight alterations to fill the quatrefoil shape.